Well they are here to stay with their giant fatty tires designed to tame deep snow and sand. And by they we mean Fat Bikes! Yep , what started as a garage made winter project in parts unknown has become one of the fastest growing segments in the bike industry in recent months. Originally designed as a deep snow/sand machine they have morphed into an all around fun bike to ride. 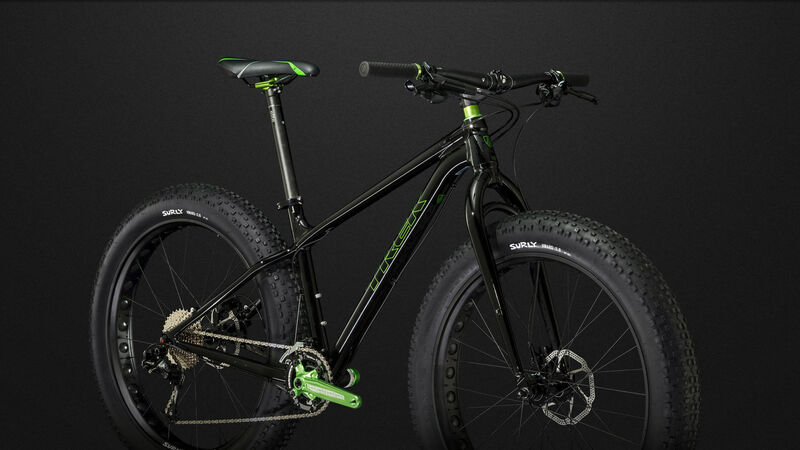 With several makes and models and countless after market accessories and parts available many folks are getting on the bandwagon to fun town and getting themselves a fat bike. Trek recently released the Trek Farley , a reasonably lightweight aluminum offering a nice value package that will more than do the trick. Being situated in Wisconsin , an area that sees the very harsh side of winter Trek has a good grasp on what makes a good fat bike fat as you will see in the Farley.